Like plants and animals, humans intuitively know they need to rest during the winter months to prepare for the renewal of spring; it’s an ideal time of year to treat yourself extra well, cleanse your body, and re-energize. Unfortunately, stress is a fact of life for many of us during and after the holidays. Between the parties, shopping, and hectic work and travel schedules, we all could set some “me time” to decompress and re-focus. Follow our tips below and put aside a few minutes—or even hours—for self-care each day. You won’t regret it! Start your day off right by eating breakfast before you fill up on coffee. Caffeine on an empty stomach causes blood sugar levels to spike, leading to attention problems and irritability. Foods that are rich with Omega-3, like fatty fish, walnuts, flaxseeds and enriched eggs can combat the stress hormone called cortisol. Care to savor a spicy dish instead? Hot foods trigger the release of endorphins, which are natural chemicals that cause feelings of euphoria and well-being. 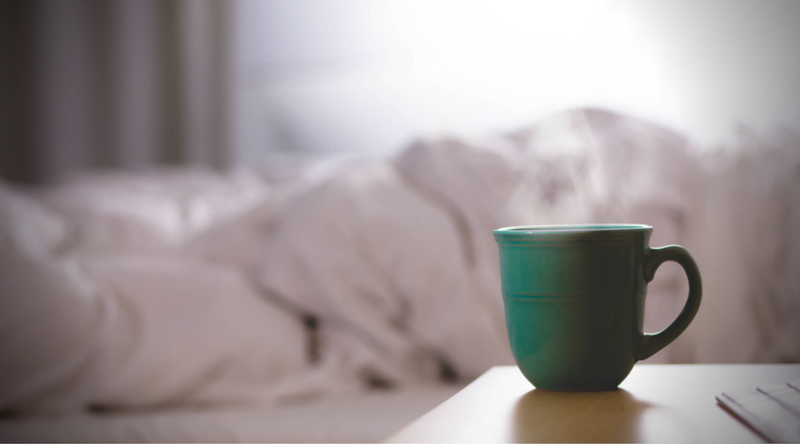 In the evening, try to drink caffeine-free tea with calming acids, such as chamomile, Sleepy Time, or green tea. Sweeten it up with a spoonful of honey; research shows that its antioxidant and antibacterial properties may improve your immunity. In addition to food and drink, essential oils can do wonders to improve your temperament. Researchers studying depression have found that certain citrus scents boost feelings of well-being and alleviate stress by upping levels of norepinephrine, a hormone that affects mood. It’s important to give yourself 15 minutes of fresh air a day, since sunlight provides us with vitamin D (even when it’s overcast). The rhythm and repetition of a brisk, half-hour walk has a tranquilizing effect on the brain, decreasing anxiety and improving sleep. Exercise also releases endorphins, a chemicals that interacts= with receptors in the brain to trigger a positive feeling in the body. Research has found that workouts can boost your mood for up to 12 hours at a time! For a less intense regimen, consider meditation, yoga or t’ai chi—basically anything that involves deep breathing. Breathe in through your nose and exhale through your mouth; your stomach should rise and your chest should move very little. The key to deep breathing is to breathe deeply from the abdomen, getting as much fresh air as possible in your lungs. The more oxygen you get, the less tense, short of breath, and anxious you feel. When trying to decompress from the holidays, it’s helpful to go to bed earlier than usual—ideally by 10 pm. Wind down by reading a book or taking a warm bath; just be sure to avoid any screens at least an hour before you plan to go to sleep. New research shows that reading from a device such as an iPad before bed not only makes it harder to fall asleep, but also impacts how sleepy and alert you are the next day. Many people report that their stress increases when the length and quality of their sleep decreases. You can also try to replace electric lighting with candles and put relaxing music on. Research from the University of Maryland shows that listening to music you love can relax blood vessels and increase blood flow, which not only calms you down but is also good for the heart. No matter which method you choose to combat holiday exhaustion, you can cultivate some habits to keep you centered for the rest of the year!